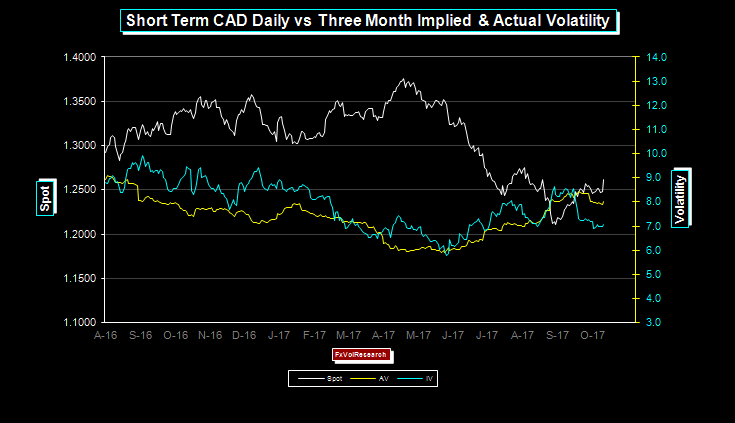 The spread between three months implied vs realized vol in CAD is too wide. 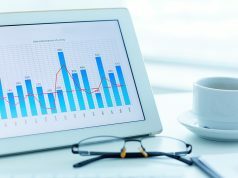 There remains strong interest to sell C$ volatility as the spot corrects back over 1.2500 and now with Friday’s close over 1.2600, however, this move looks like the market is getting ahead of itself. Short vol positions in the body of the curve should be hedged with nearly dated gamma which in our view remains a good buy at levels under 7%. We remain of the view that the CAD Dollar will remain under pressure and look for a correction back to 1.3000 by the end of the year. 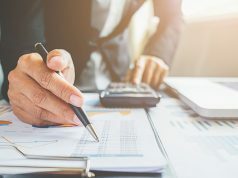 The weak retail sales numbers and not so hot inflation numbers contributed to the growing confidence in the market that the BoC will remain on hold up to the end of the year. Still, two weeks realized remains below the six weeks 7.75 vs 8.05 for the two and six respectively. Momentum is holding in positive US$ territory. More significantly, 2YR bond spreads flipped back in favour of the US$. Commodity prices remain stable and firm which is typically the case ahead of the Chinese party conference. However, going forward China may well start to take renewed measures to cool the domestic economy, and this would start to remove another leg of support for the C$ and commodity block in general. 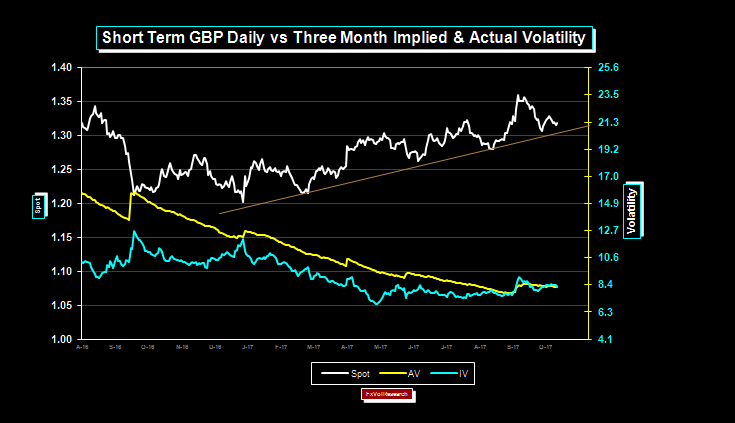 Sterling is holding on to its daily trend line and GBP options prices are trading in line with the realized vols. 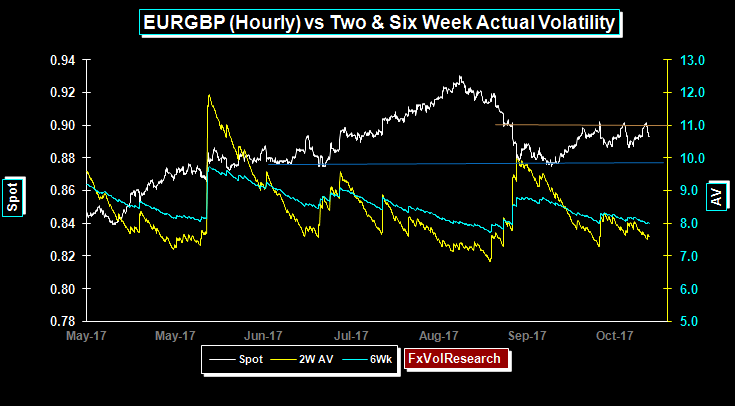 The persistent gap between GBP implied trading under the actuals has now fully reversed and the two are back in line. 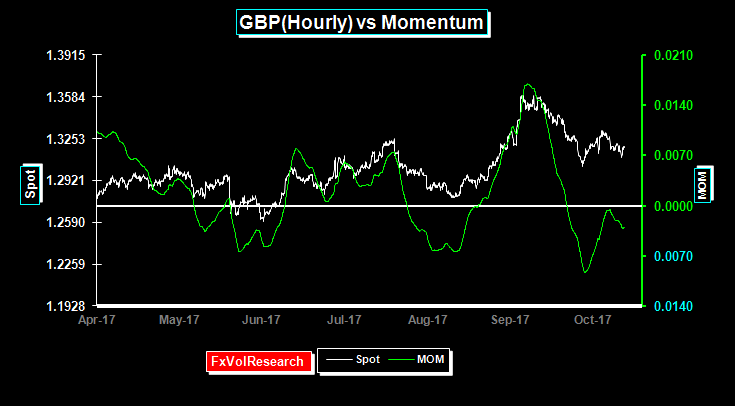 Short term GBP momentum is trading close to par and last week moved marginally back into negative territory. 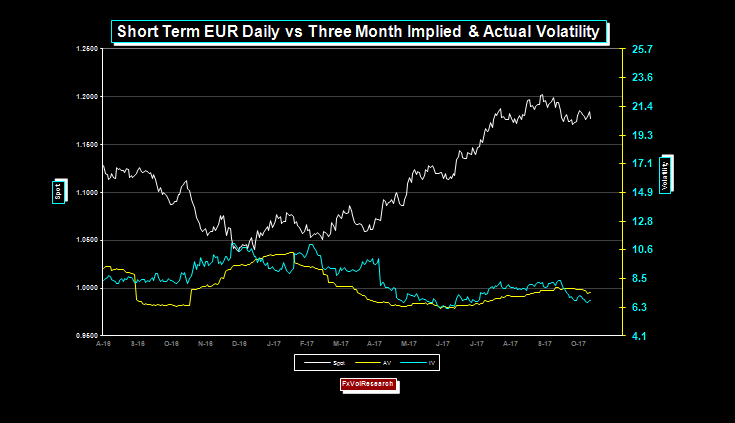 The short-term correlation of the EUR and one month implied vol can be an early directional indicator. 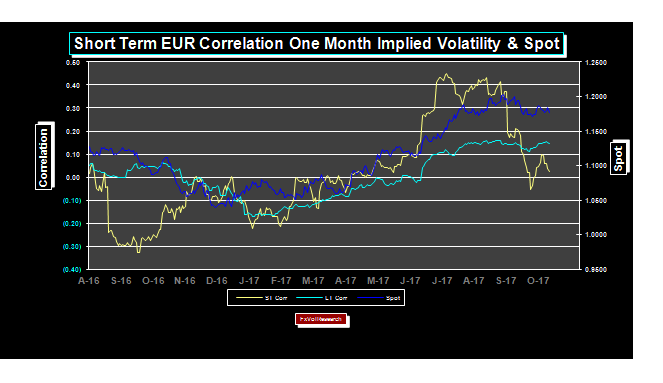 In this instance, as you can see from the chart above, the positive correlation between EUR strength and implied vol is now declining and may well suggest a larger correction in the EUR below recent support at 1.1690. Rather than expressing this view by shorting the EUR or buying out of the money EUR puts, the safer play would be to own 3-month 25 delta EUR strangles. Three months 25 delta strangles would be based roughly on Friday’s close struck at 1.1560 and 1.2125 and the mid-market premium would be roughly 0.53% per strike or 1.06% total. This would better express the view that the consolidation in the EUR will eventually end and either the dollar downtrend will resume, or a more sustained dollar correction will ensue. The potential for sustained US$ strength is really going to hinge on what happens at the Federal Reserve. Also, tax reform or deficit-financed tax cuts, should one or other play out in the US will also potentially lead to higher US bond yields. Finally, the manner and the timing of the US balance sheet reduction will also have a major impact on both short and long-term bond prices. While in Europe there is the potential for the ECB to delay monetary tightening and to run the economy a bit hotter prior to starting to tighten. 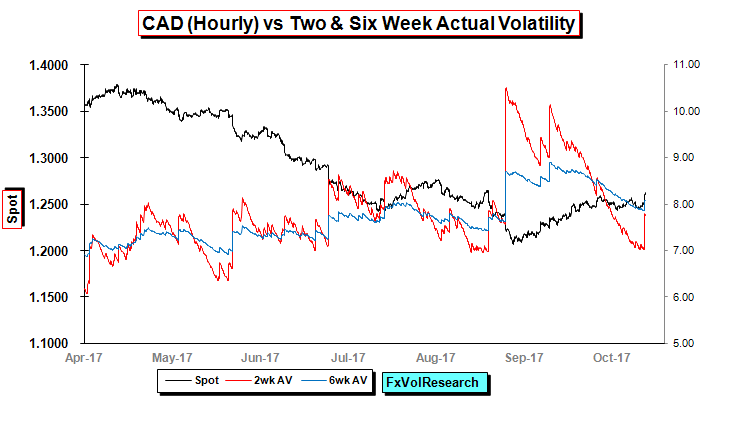 One and three month CAD risk reversals back off in line with the spot, however, the one year remains largely unchanged. 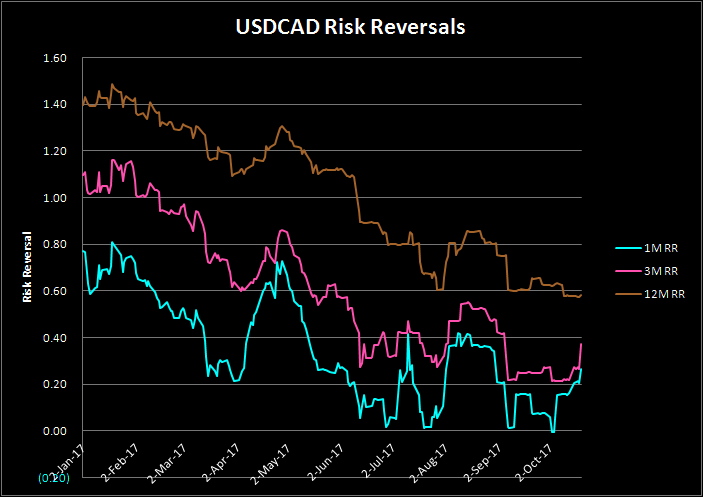 One year CAD risk reversals are still to low in our view. 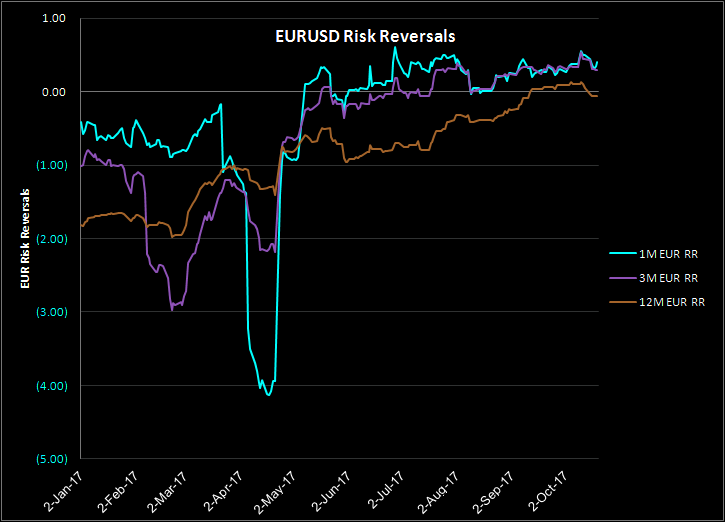 While one and three month EUR risk reversals are holding up in positive territory, the one year has flipped back in favour of EUR puts over calls. 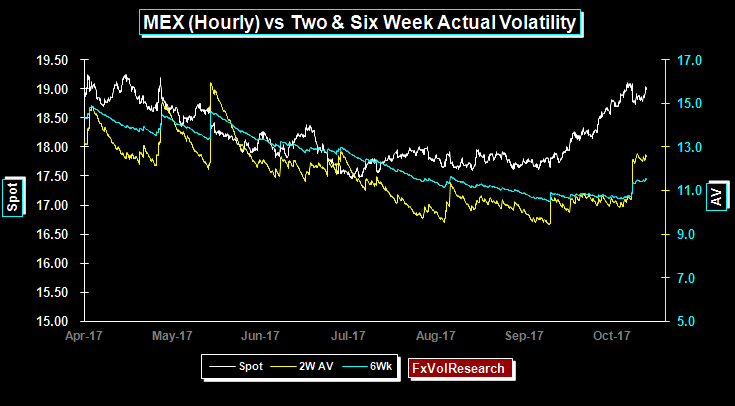 Further to my note above, three-month EUR implied vols are now trading well under the actuals and while not in the extreme buy zone, nevertheless still represent better than fair value. In our view owning three months, 25 delta strangles maturing well into Jan of next year are a fair bet at current levels. The EUR has formed a clear head-and-shoulders formation in the chart above and a correction in the spot below 1.1690 would imply a move back to the 1.1300 level. At the same time if we can take out the previous tops at 1.2090 it would be the start of a renewed EUR push to 1.2650. Triple top formation in EURGBP as the spot tries and fails to hold over 90. The 88-90 range should continue to hold as the market awaits progress on the EU-UK Brexit talks. Chancellor Merkel seems to offer a more conciliatory tone to May and the next 6-8 weeks are going to be crucial in the near term. Very low dispersion readings both ST and LT are often a prelude to the emergence of a new direction trend. 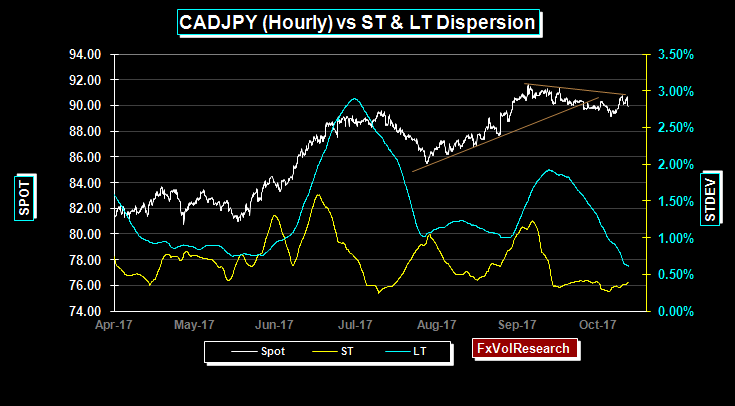 The chart above shows this in CADJPY but also suggests topping price action in the pair. AUD continues to face topside resistance. A move to a more hawkish stance by the RBA would be enough to take out the topside, but the odds of that are low as Australia continues to print weaker fundamentals. While broad commodity index is supportive, iron ore is still weak. 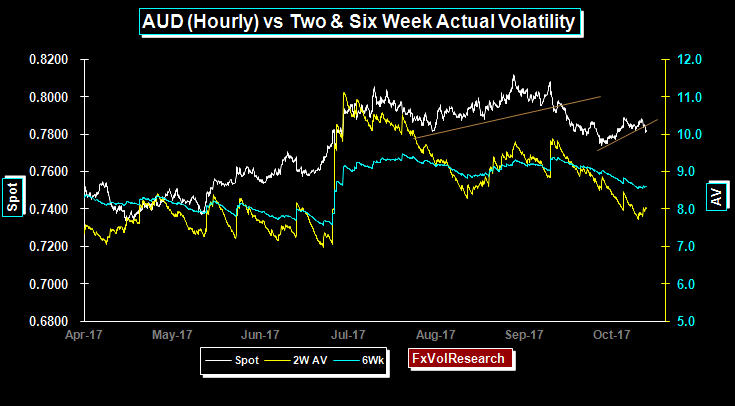 One year AUD vol ended the week bid at just over 9%. 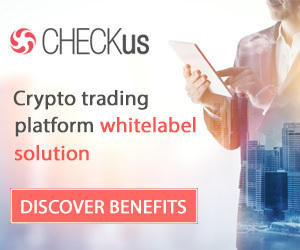 We continue to believe it should be owned at levels under 9%. As the Chinese economy slows the commodity complex will weaken substantially and the RBA will not try to support the AUD should the economy show further signs of weakness. The pressure on the MXP in the near term should abate along with the delay in the NAFTA talks. One month MXP risk reversals are off their highs while the three-month reversals remain bid. 19.25 is the next major topside resistance. While the MXP is undervalued, scrapping NAFTA would remain a serious blow and open up a re-test of the 22.00 highs.